The Thrift store is the primary source of funding for our programs. From recovery counselling to housing services, all our proceeds beyond store operation expenses goes to fund these programs. In addition, the store is a job training center, providing on-the-job training for up to 10 clients at a time. 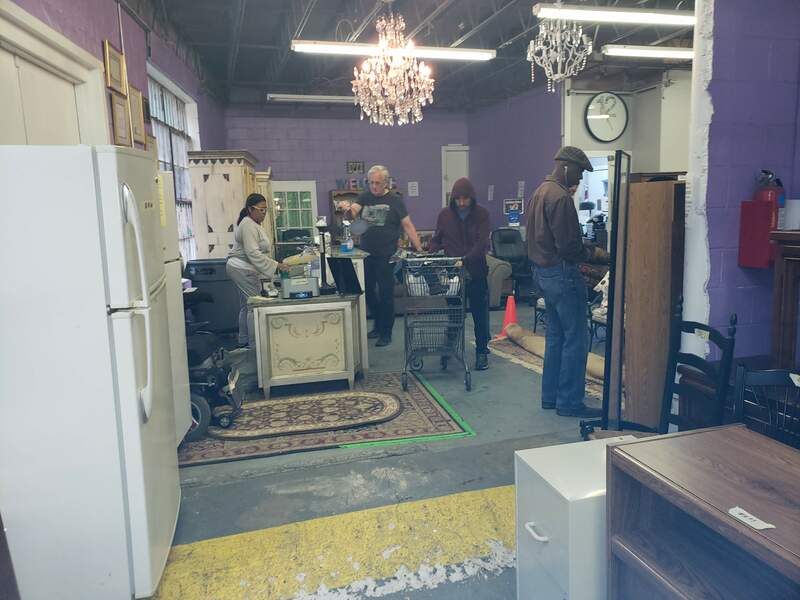 The first Atlanta Step Up Society Thrift Store was started by Robert and Martha Barber in 1995 as part of Atlanta Step Up Society. Today the store is in a new location and provides funds for both ASUS and VEO programs. The current growth of the store has been accomplished through revenues from the thrift store and of course through the generous donations of our supporters. These donations include items for the store, cash, and time. Volunteers, including people in recovery and dealing with developmental disabilities, are a key resource to the Step Up Society, currently contributing an average of more than 100 hours per month. We receive donations of all types, including furniture, housewares, appliances, shoes, knickknacks, etc. We also receive clothes from all over the city and surrounding counties. Some donations are sold in the store, some goes to VEO for the veterans and some goes to other agencies that support third world economies in desperate need of these items. One of the things that keeps our customers coming back from all over the city is our friendly staff and the low cost.... we are pretty proud of that. Our cashiers provide friendly service with a smile and that keeps our customers returning and recommending our store, sometimes even over more fancy places. Every year at the end of May we have a Customer Appreciation Day. We have a big cookout. The Food is SOOOOO Good. Every one is welcome to come... call to get details for the next one. Did I mention that on that day everything in the store is HALF OFF? Come early because the store fills up Quick. We are open 11:00 a.m. to 6:00 p.m. Monday through SaturdayWE LOOK FORWARD TO YOUR VISIT! © 2019. Atlanta Step-Up Society, Inc.